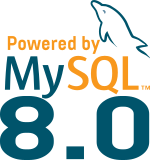 Now that MySQL is upgraded to 8.0 RC1, let’s have a look on how we could check the workload and see if we can optimize something by adding indexes for example. The same technique can be used to find inefficient queries requiring rewriting. This was after the upgrade, so not much info yet but if I compare with the other sites hosted on the same server, this is the user consuming more resources and it’s indeed expected to be so. OK this is not much and mostly it’s related to writing the transactions to the binary logs. SYS schema also provides you a nice view called statement_analysis that we can use to have information about the queries. query: UPDATE `wp_options` SET `optio ... ` = ? WHERE `option_name` = ? We can see that this query is currently the one with the highest latency in total, this means that maybe the query is fast by called way too much. In this example the numbers are not bad, nothing to worry about as this is a write. So this view is excellent, but if I would like to check the execution plan of the query for example, I would like to have a full example. query: SELECT `option_name` , `option ... options` WHERE `autoload` = ? Now we can use this sample query to retrieve the QEP. If you enable the long history, you can use that table to retrieve even older queries. Like for the preview queries, you can always join performance_schema.events_statements_summary_by_digest to get a full example to analyze. In the next post, we will see how we can verify the Query Execution Plan of a query, its cost and what it really does. Awesome tutorial. WordPress is a great platform that used by restaurants, media, and small business. But what the developers lost it’s its optimization. Keep your website up to date with latest software and plugins!